The Citizens’ Constitutional Forum (CCF) in partnership with the Fiji Women’s Rights Movement and the Fiji Human Rights and Anti-Discrimination Commission will be organizing the Annual Human Rights Moot Court Competition 2018 (AHRMCC) with the theme on Human Rights: Balancing the Scale. The team from the Fiji National University at the launch. Ending in January next year, the 3-year EU-funded project has the specific objective of improving and strengthening the role played by Civil Society Organisations in Fiji, in promoting, implementing and monitoring human rights through various means such as civic education, research and advocacy and legislation monitoring. At the recent media launch (for the AHRMCC), the teams were presented with their Moot Packets which contains relevant materials such as; the Moot Scenario, Rules and a Mentor’s Guide. The packets are to assist the students on preparing for the Competition day. 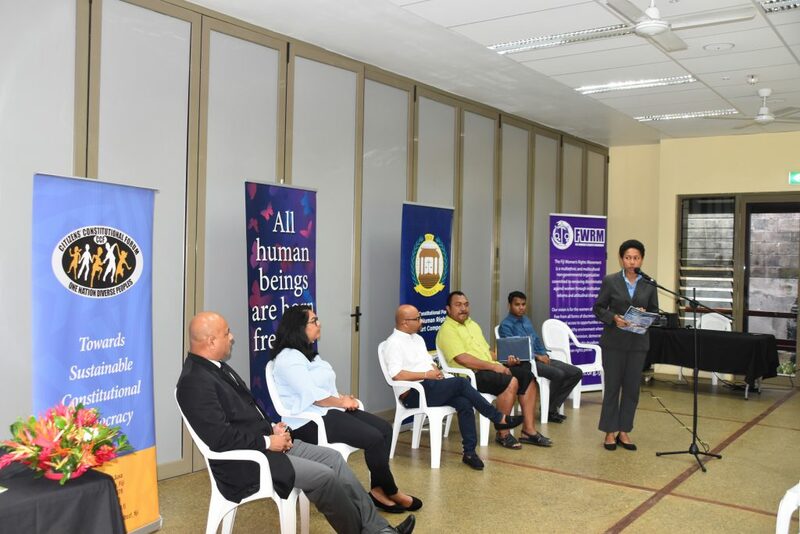 The two teams consist of third year law students who will be representing their schools; Fiji National University and University of the South Pacific. The objective of the AHRMCC is to improve the awareness and interest of students regarding human rights. Secondly, it is designed to encourage a discussion and debate amongst the legal profession on opportunities and challenges relating to Human Rights cases. Since the launch of the Competition in 2016, the series has focused on issues such as torture and the first hour procedure. This year marks the final run of the Competition where we will focus further into the issue of Torture and Freedom of Expression. Freedom of Expression, has been included to address today’s use of technology to impart information which is vital in communities. With the legislative developments in Fiji such as the passing of the Online Safety Bill, the Information Act and the approval of parliament to ratify the International Convention on Economic, Social and Cultural Rights (ICESCR) and the International Convention on Civil and Political Rights (ICCPR), activities such as this Competition will help with the discussions and addressing of the challenges and opportunities that lies within these legal frameworks. 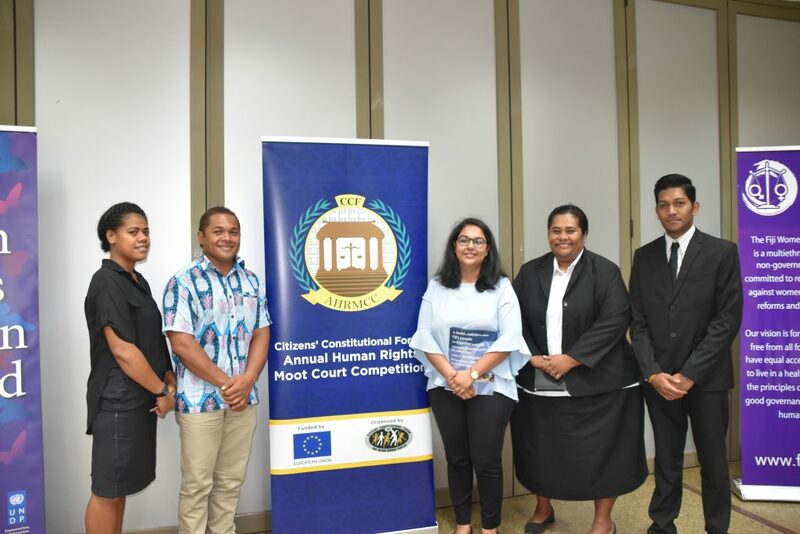 The Competition will take place on 23 November 2018 at the High Court of Fiji (TBC).